Blue Rose AGE is now on Kickstarter! 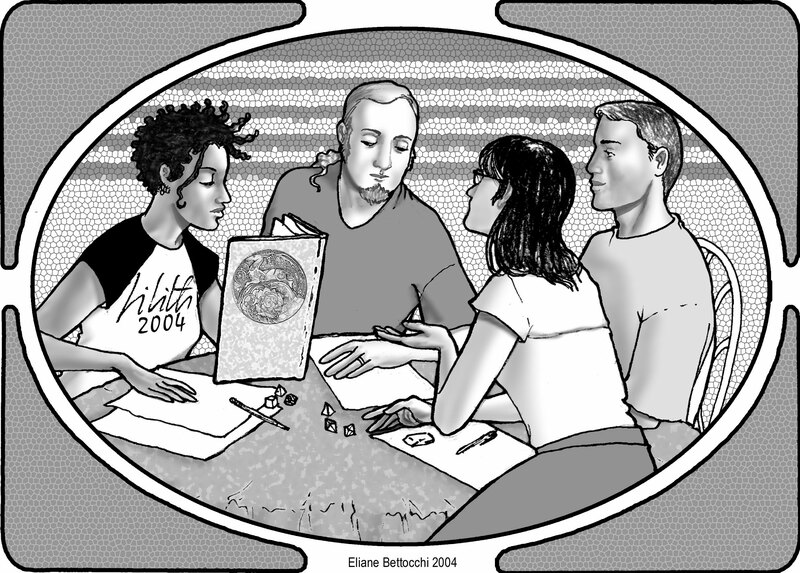 Yesterday, Nicole launched the Kickstarter project, Blue Rose: The AGE Roleplaying Game of Romantic Fantasy. Not only were we fully funded the same day, but we have already surpassed some of our stretch goals! We have been so excited to see the response to Blue Rose AGE. And in our excitement, we forgot to write a news post for it. Truly, this is a labor of love for the whole company and all the fantastic folks involved with the project. Our new edition of Blue Rose looks to match its fantastic world with the critically acclaimed Adventure Game Engine or “AGE” System used to power Green Ronin’s Dragon Age tabletop RPG adaptation, also seen in the Fantasy AGE Basic Rulebook and Titansgrave: The Ashes of Valkana on Geek & Sundry’s web series of the same name. The new edition of Blue Rose will contain all of the rules you need to play the game, along with all of the key information about the world of Aldea, its nations, characters, and conflicts―everything you need to create your own stories and adventures. So why Kickstart a new edition of Blue Rose now? 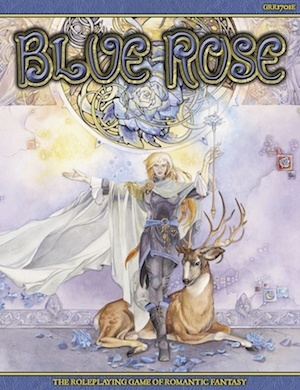 When Green Ronin began the process of turning AGE into a stand-alone game system for supporting multiple settings, one of the first we thought of was Blue Rose, a fantasy world that had something different to offer, that could in turn expand the options available in the game system to include psychic powers and a focus on character motivations and inner struggles, among other things. We also felt that we could improve Blue Rose. A lot has changed in gaming―and society―in the ten years since the original edition of the game was published. 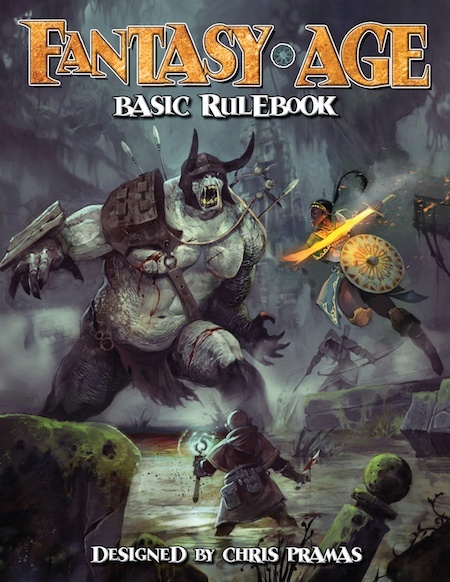 A new edition for the AGE system offers us a great opportunity to carry forward the setting’s ideas with the advantage of a decade of hindsight and new understanding, as well as player feedback. Most important, we feel that games like Blue Rose are needed. Awareness of the importance of representation and inclusion in the hobby and the industry has grown in recent years. Now publishers need to follow-through on that increased awareness and deliver games that help to fulfill its promise. That’s what we’re looking to do with this Kickstarter so, if you agree, we would really appreciate your support. The setting material our freelance designers have pitched to us is detailed on our Kickstarter Project page. Each one of these would be roughly 2000 words long, and expand the World of Aldea in a new way. The micro settings are regions reachable through shadow gates that can provide new places to explore. We would really love to break our $100,000 Stretch Goal, so we can produce a Fate Blue Rose Companion by Brian Engard and Clark Valentine, the authors of our popular Fate Freeport Companion. We are super close to unlocking the next stretch goal! While we’re talking Blue Rose RPG, we’d love to remind you that we have a Blue Rose T-shirt Design Contest running and we have a Blue Rose Facebook Page. Donna “Danicia” Prior is the Events Manager for Green Ronin Publishing. She is also the Executive Director of OrcaCon, the Inclusive Tabletop Games Convention in Everett, WA. Donna is also a speaker at numerous conventions and conferences. She has spoken about building communities, diversity, harassment, and accessibility. She was a Gen Con Industry Insider for 2016. Donna is a gamer and a beer geek, often combining both hobbies while teaching new people to game and appreciate beer. She’s also insists she is NOT a Hobbit. You can follow Donna on Twitter: @_Danicia_. Find her also on http://about.me/Danicia. https://greenronin.com/wp-content/uploads/2015/06/gamers.jpg 1425 1988 Donna Prior //greenronin.com/wp-content/uploads/2017/07/RoninBanner-1.png Donna Prior2015-06-23 16:25:112015-06-23 16:26:21Blue Rose AGE is now on Kickstarter! Enter the Blue Rose T­-Shirt Contest! [Ronin Round Table] Fantasy AGE: What’s Different from Dragon Age?